We Are Your Kawasaki Parts Headquarters. 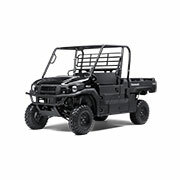 Kawasaki Mule parts, Kawasaki Mule 4010 Trans4x4 parts, Mule 4010, 4000, 610 4x4 XC, 610 4x4 parts, Kawasaki Teryx Parts, Teryx 750 4x4 LE, 750 4x4 Sport, 75o 4x4 LE Realtree parts. Buy Kawasaki Ninja Motorcycle parts. Ninja 1000, 650R, 250R parts, Kawasaki Versys parts, Kawasaki ZX-14, ZX-10R, ZX-6R parts, Kawasaki Vulcan. 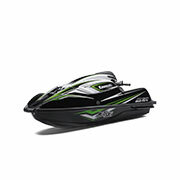 Get your Kawasaki Jet Ski parts for your 800 SX-R parts, Kawasaki Jet Ski Ultra 300LX Parts, Kawasaki Jet Ski 300X, 260LX, 260X parts, Jet Ski STX Parts. 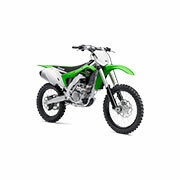 Kawasaki Offroad Parts are here for Kawasaki KX 450F, KX 250F parts, Kawasaki KLX 140L parts, Kawasaki KXL 110, KXL 110L parts. 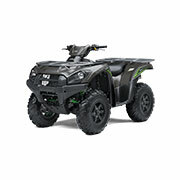 Kawasaki ATV parts including, Kawasaki Brute Force 750 4x4 ATV parts, Brute Force 650, 360 ATV Parts, Kawasaki Bayou 250 Parts, Kawasaki KFX 450R Parts. Looking for hard-to-find Kawasaki OEM parts? We offer more than 7 million factory fresh Kawasaki solutions for motorcycles, ATVs, side by side vehicles, and jet skis all in one convenient online location. We also carry all the Kawasaki apparel and riding gear to get you on the road in style while representing this popular manufacturer. Browse for Kawasaki parts to upgrade or repair your machine or check out our offering of the latest motorcycle accessories and ATV accessories. With an inventory that offers Kawasaki parts for every major model from this manufacturer, we are confident you will find exactly what you need for your favorite ride. Whether shopping for MULE parts or something for your jet ski, we have you covered with our expansive inventory of products. With our selection of parts at the ready, outfitting your favorite vehicle, whether on road, off road, or watercraft, has never been easier or more efficient. Since we offer many Kawasaki OEM parts manufactured directly from the maker of the vehicle, you get a solution that is sure to meet the specifications of your model and year. While we are proud dealers of OEM solutions, we also offer a selection of aftermarket products to meet your exact needs with ease and affordability. Regardless of whether you choose OEM or aftermarket Kawasaki parts, we have you covered with one of the largest inventories of solutions on the market today. From the Ninja to the Brute Force 750, we have a part for your vehicle to ensure top performance promised by the name Kawasaki. Find it all in one convenient location when you shop with us! 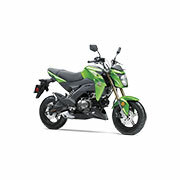 At Kawasaki Parts Nation, we work hard to get you the products you want at the speed you need. We ship with UPS, USPS, and FedEx to help get your order processed and shipped to your location in the most cost-effective solution and fastest method available. We appreciate your business and continue to work hard to provide you the best service available. Please contact us with any questions regarding our product offerings or shipping policies. We are always glad to assist you in any way while shopping with us.